CDC: Too Many Antibiotics Still Being Prescribed in U.S.
MONDAY, Sept. 19, 2016 (HealthDay News) -- Despite growing concerns about creating drug-resistant bacteria, overprescribing of antibiotics in U.S. hospitals didn't drop between 2006 and 2012, according to a new federal report. 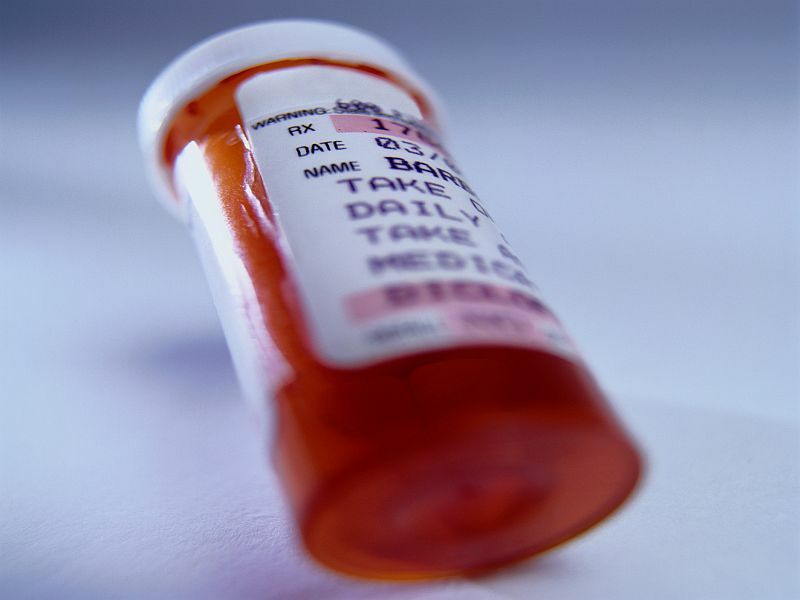 Over that time period, 55 percent of patients received at least one dose of antibiotics during their hospital stay, whether it was needed or not, researchers from the U.S. Centers for Disease Control and Prevention said. "Antibiotic use remains common, and use of the most powerful antibiotics is rising," said lead researcher James Baggs, a CDC epidemiologist. Although the use of antibiotics remained about the same during the study period, a significant increase was seen in the use of newer antibiotics, Baggs said. "Because inappropriate antibiotic use increases the risk of antibiotic resistance and other side effects, continued monitoring of antibiotic use is critical to future improvements in patient safety," he said. The report was published online Sept. 19 in the journal JAMA Internal Medicine. For the study, Baggs and his colleagues used information from a database that includes about 300 hospitals and more than 34 million patients. Dr. Ateev Mehrotra is an associate professor at Harvard Medical School's department of health care policy, in Boston. He said, "We've known for decades that there are too many antibiotics being used." Mehrotra co-authored an accompanying journal editorial. "We still give a lot of people antibiotics they don't need," he said. And doctors know they are prescribing too many antibiotics, he added. "This is about the fact that doctors are human -- doctors think patients want antibiotics," Mehrotra said. One reason for overprescribing is that it's easy to do and many doctors figure it might not help, but it won't hurt, Mehrotra suggested. So, "they give it just to be safe, which drives a lot of the prescribing," he said. To get doctors to prescribe fewer antibiotics, several tactics could be tried, Mehrotra said. For example, having physicians justify the use of the antibiotic on the medical record might help them stop and think before prescribing. In addition, patients can ask their doctor why antibiotics are being prescribed, and if they are really necessary. Antibiotics and antibiotic-resistant bacteria are a worldwide problem and will be a topic discussed this week at the United Nations General Assembly. Before the U.N. gathering, Ramanan Laxminarayan, director of the nonprofit Center for Disease Dynamics, Economics and Policy, is scheduled to hold a meeting of health experts to focus attention on the problem. "Because of how antibiotics around the world both in developed and developing countries are being used, they are not as effective as they were in the past," he said. "In fact, we now have many multidrug-resistant infections that are not treatable with any antibiotics we have, and consequently there is now a call for global action to solve the problem," Laxminarayan said. The antibiotic problem around the world is a two-sided, he explained. "In developed nations, too many people are being prescribed antibiotics unnecessarily, while in many developing countries too few have access to these lifesaving drugs," he said. "Far more people die because of lack of access than they do from drug resistance," Laxminarayan said. "We need investment in new diagnostic tools, antibiotics and alternatives to antibiotics," he said.